Thanks to +Rewards you could win a double pass membership to GWS Giants. 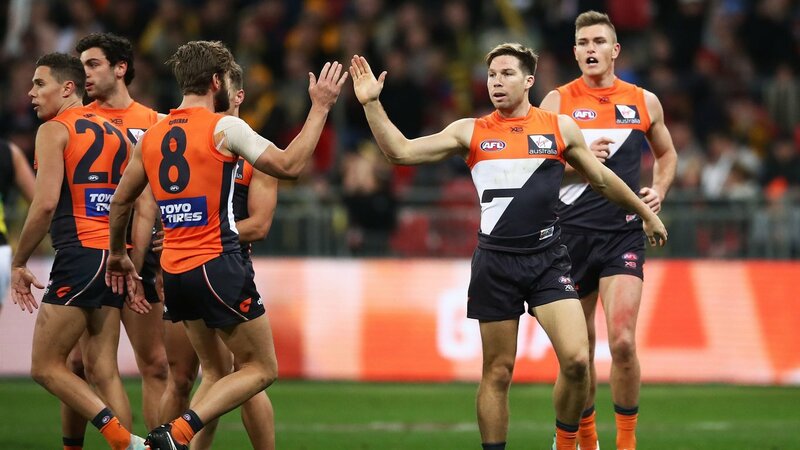 This membership is perfect for anyone who wants to watch the GWS Giants in action and have the option to choose your seat anywhere within general admission! Entries open at 9.00am AEDT on 5 April, 2019 and close 11.59pm AEST on 28 April, 2019. New South Wales residents only. Limited to one entry per eligible member. Winners determined on 29 April 2019 at 11.00am AEST at Nationwide News Pty Ltd, 2 Holt Street, Surry Hills, NSW 2010. Winner’s names to be published on 6 May 2019 on the +Rewards website. Individual prize valued at $588. Total prize pool valued at $21,756. There are 37 GWS Double Pass Memberships to be won by eligible Daily Telegraph +Rewards Members. Full terms and conditions apply.